The Omnipure K2533 Inline Carbon Filter reduces chlorine taste and odor from your drinking water. Connector built into the body of the filter. Installation instructions located directly on filter. Quick and Easy installation. 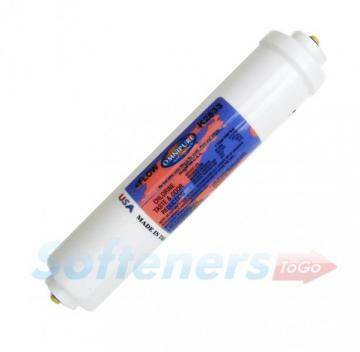 This filter needs to be replaced when water pressure decreases or chlorine taste & odor returns to water.